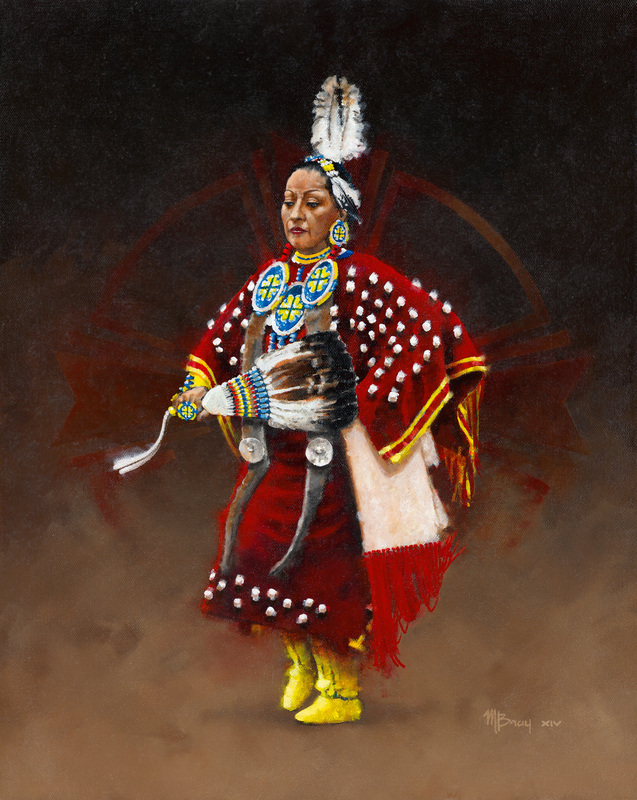 Women’s Traditional Dancing is one of the oldest styles of dance for Native American Women. Regardless of the dancers' origin, Women's Traditional dancers are regarded as sacred; they dance for those who cannot dance themselves. "The Women are the tradition carriers and it makes the People feel good to watch them dance." (Dancing Bear). Women's Traditional is broken into several styles but they all demonstrate elegance, beauty and the majestic strength of Native American Women - the performances are very moving to witness. Original is available! Use the Contact link above if interested.